Beautiful and elegant home with stained hardwoods, granite counter tops with glass and travertine tile backsplash, high gloss trim throughout, dining room, large living room, cute sunroom overlooking the backyard and three good size bedrooms with a fourth bedroom in the basement. Large rec room with new carpet and freshly painted. Brand new bathroom with slate tiles, vessel sink and jetted tub. 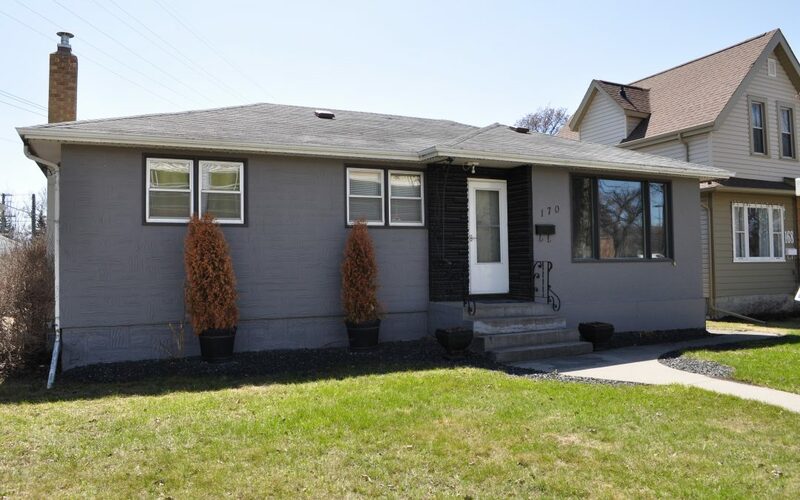 Exterior of the home has been tastefully painted in a dark gray and black colour scheme. Did you see the back yard? Amazing piece of property fully fenced with new cedar fencing and cedar siding on the garage to match. Landscaped with crushed granite and maple tree in the back corner. Yard is 50×150. Garage is fully insulated with insulated door. What a nice home. Only a block from river trails. Just move in and enjoy this gem!